The euro fell to $1.1861, its weakest level since 2006 on the back of uncertainty over Greece’s position within the single currency. A strong dollar and expectations that the European Central Bank will beef up its stimulus program have also not helped. 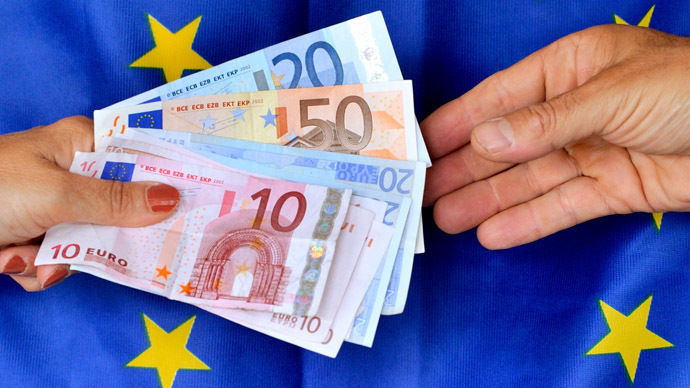 The euro dropped to a low of $1.1861 against the dollar during Asian trading hours on Monday. However, it did pick up slightly to trade at $1.1950 during European trading. This has seen the single currency lose as much as 1.2 percent of its value. European shares were volatile, initially falling sharply before rebounding into positive territory within an hour of the open as investors digested the implications of the weak euro and yet another hefty slide in oil to a 5-1/2 year low, Reuters reports. Investors have also been betting that the European Central Bank (ECB) will open up a bond-buying program. This policy is known as quantitative easing, which could add up to €1 trillion to the central bank’s approximately €2 trillion balance sheet. This pushes down bond yields, which move inversely to bond prices, and lessens the attraction of the euro. The euro’s slump has not been helped uncertainty concerning Greece. German Chancellor Merkel and Finance Minister Wolfgang Schaeuble have repeatedly warned the southern European nation about reneging on the bailout conditions that were set by Berlin. However, Merkel and Scheuble now believe the single currency would be able to survive if Greece decides to quit, according to a report in Der Spiegel. “Many European officials believe a Greek exit would be manageable, and in contrast to 2010-2011, we wouldn’t see the same cascading effect on countries like Spain or Ireland,” Fredrik Erixon, director of the European Centre for International Political Economy in Brussels, told Bloomberg. Syriza has a narrow lead in opinion polls ahead of the January 25 election, however Prime Minister Antonis Samaras warned if Tsipras’s party is victorious, this will lead to a default and force Greece to leave the euro zone.